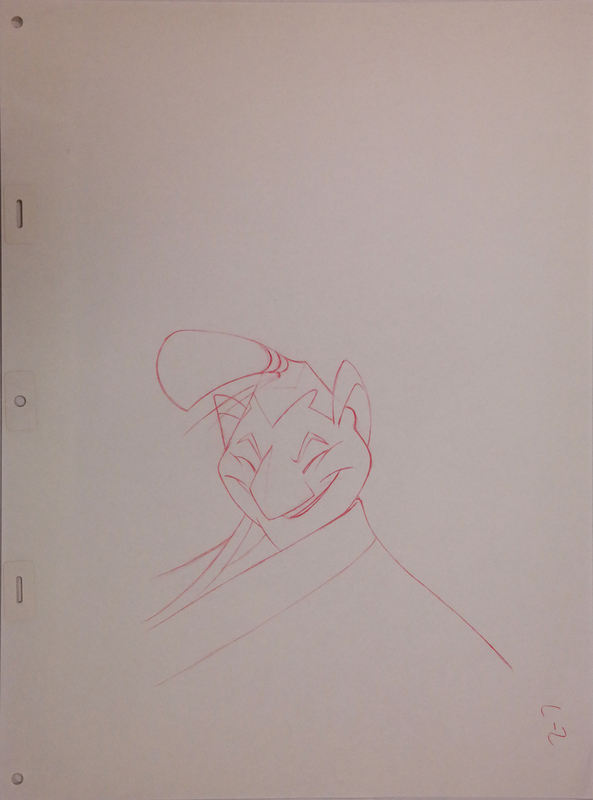 This is an original production drawing of Ling, one of the three soldiers that befriend Mulan. The drawing measures 8" x 7" on a vertically held sheet of animation paper that is untrimmed and measures 17" x 12.5". The image measures 8" x 7".